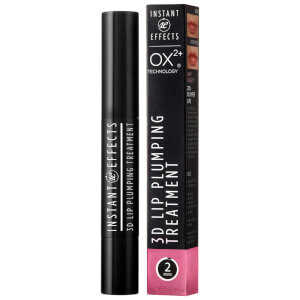 Independently clinically tested to increase volume of your lips by 20% in just two minutes, Instant Effects Instant Lip Plumper is a must-have if you're looking for a fuller lip. A great alternative to surgery, there is no stinging or aggravation, and last for up to 4 days. There is also a Instant Eye Lift and Lash Volumizer to bring your eyes to life. Instant Effects is a UK based company, founded by Richard Mears who has spent over 25 years working with some of the best known beauty brands. Richard set up Instant Effects to deliver products which truly deliver their promises and use advanced technology. You can buy all Instant Effects products online at SkinStore with free delivery over $49.